Gandarusa has Latin Name: Justica gendarrusa L.
Willow, leaf deer, lattice (justicia gendarussa burm.f.) is a tropical plant that we usually encounter in the yard of the house, either on its own or used as a living fence. Willows are very easy to grow and can be propagated by cuttings. 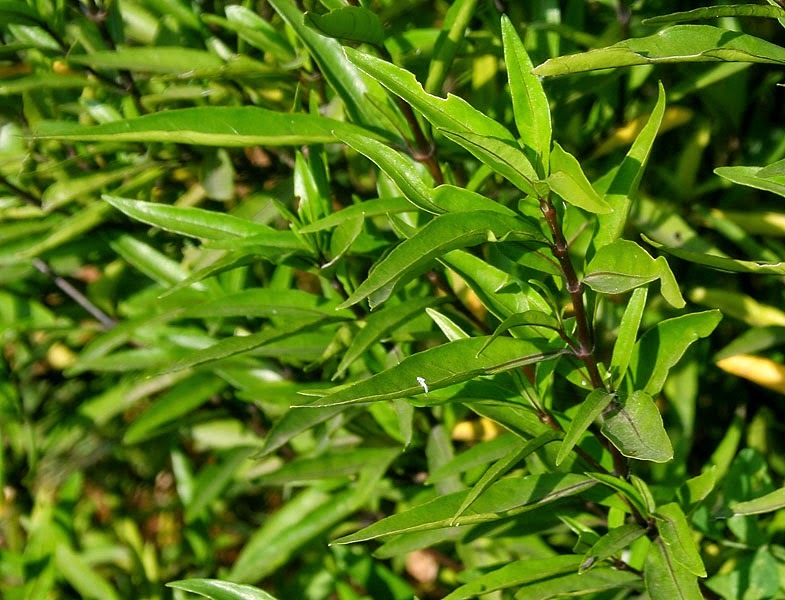 Plant this shrub form, commonly planted as living fences, grows wild in the forest, the river embankment or maintained as a medicinal plant families (toga). In Java, this plant can grow to a height of 1-500 m above sea level. The plants grow upright, the height can reach 2 M, has many branches starting from near the base of the stem. The branches of the young dark purple, and when the old color changed to brown shiny. The layout leaves opposite each other, in the form of a single leaf with a lancet-shaped 5-20 cm long, 1-3.5 cm wide, flat edges, tapered tip of the leaf, the base form of short-stemmed seeds between 5-7.5 mm, dark green leaf color. The flowers are small, white and shaped dice, arranged in a series of a panicle / grain buds, hair spread out and out of the armpit leaves or stalk end. The fruit is elliptical. Fruits are black trunked, more popular than the green ones. The materials needed are 40 grams of fresh willow leaves, fresh basil leaves 30 grams, 30 grams of fresh kencur/Kaempferia galanga, 30 grams of fresh red ginger, 30 grams of fresh leaves of gout. 40 grams of rice. As for how to mix: Soak the rice for 3-4 hours. Wash all the ingredients, then mash until smooth and mixed with rice that has been pounded. After all the ingredients mixed and soft, place in a container. Apply on the affected part herb taste. Perform medication twice a day, every morning and afternoon. Take 15-30 grams dried or 30-60 grams willow wet. Material was boiled with 3 cups of water until the remaining half. Drinking water for one day.